As we know, Yoga in particular and healthy care in general is always a top concern of all people in the world. They are spending more than 2.5 billion dollars each year investing into fitness activities such as joining yoga courses, buying clothing, equipment, accessories or opening yoga studios. And this amount is more and more increased so powerfully and achieve a lot of the good results. Standing before the hot trend, today Opal WordPress will share you top Best Yoga WordPress Themes on Themeforest 2017. All of them are good looking, so beautiful, fully responsive, high resolution, unlimited color skins, ease of customization and SEO standard. Hoping you can take a little time to visit our collection and choose the best one for your yoga project. Please enjoy and experience with us! How to build a Yoga Design website with WordPress? If you haven’t built a website yet, you need to get a domain name, a web host (StableHost preferably) and install WordPress on your web host first. We have created a step by step guide on how to start a WordPress blog, you could go through it. 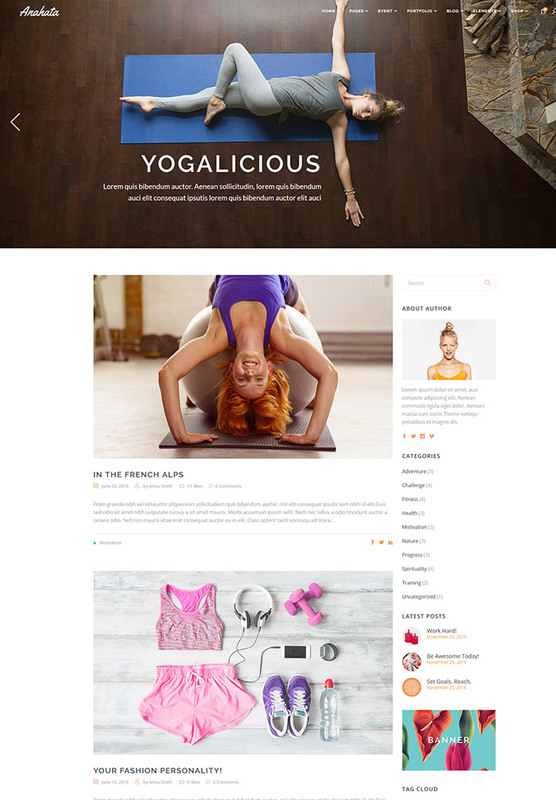 After you install WordPress, install one of these Best Yoga WordPress Themes to make your website perfectly. With a creative and modern design inspiration together with love with sport business, Opal WordPress created a great theme for fitness industry Coach – Sport Clubs, Fitness Centers & Courses WordPress Theme. It is sweet mixture and sporty enthusiasts with the managers of fitness clubs and their clients. Coach is well built for Gym, Fitness Clubs, Personal Trainers, Health Centers and other sports and health related business such as Yoga, Boxing, Zumba, Training Classes and Courses. Yogi is clean and delightful theme for any event, spa, wellness, fitness and health beauty training related website. 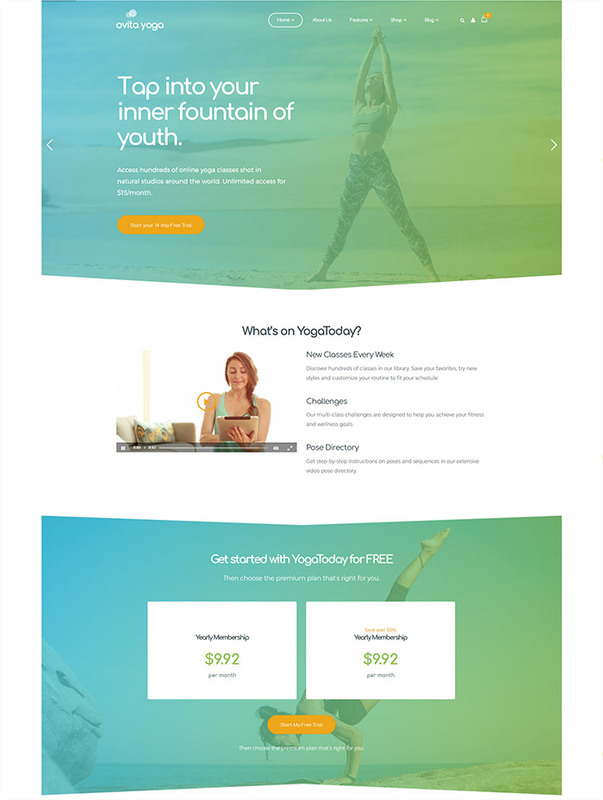 Designed specifically for a yoga center, included 4 custom post types: class, trainer, testimonial, event and tons of shortcode and widgets, its clean design and unique elements can softly enlighten up your mind just like when you sit down and practice some yoga poses. There is no limit to a niche, of course. Yogi can fit in any event, health, spa, dance class, or other beauty related website, just little work needed and imaginative you. Ovitahealth – a creative & flexible one-page theme based on the fastest page builder King Composer. 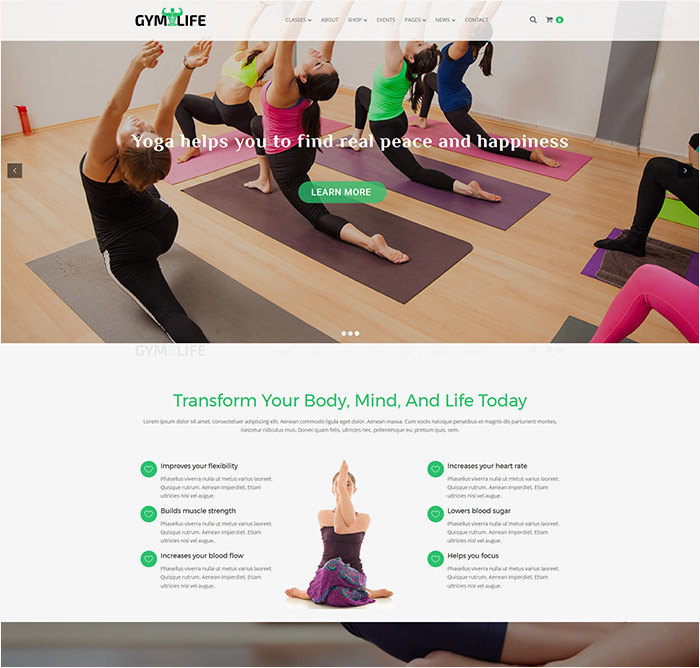 The excellent theme is ideal for you to start up any kinds of business projects including One page Health Coaching, Health Product, Yoga, Fitness, Medical, Dental Clinic. Each concept brings a personal beauty with its unique skin colors, equipped enough key features and essential functions for attractive good looking..
Yogastudio has modern minimal design perfectly suitable for any type of yoga and dance studios, fitness classes, gyms, health clubs or meditation classes. Yogastudiocan also fit for any kind of healthcare or recreation center, spa & wellness club websites, with schedule and class descriptions. Yogastudio is compatible with awesome plug-ins: Revolution Slider, Booking Calendar, Essential Grid, PO Composer, Visual Composer for creating any page layout at your taste. The theme is fully responsive and 100% Retina ready. 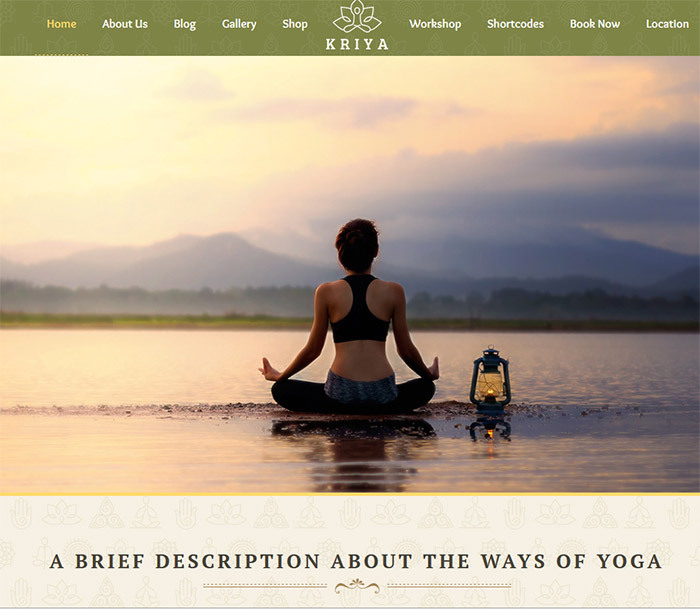 Kriya WordPress Theme is straight forward answer to create your website for teaching yoga with inspiring quality and well balanced functional elements. 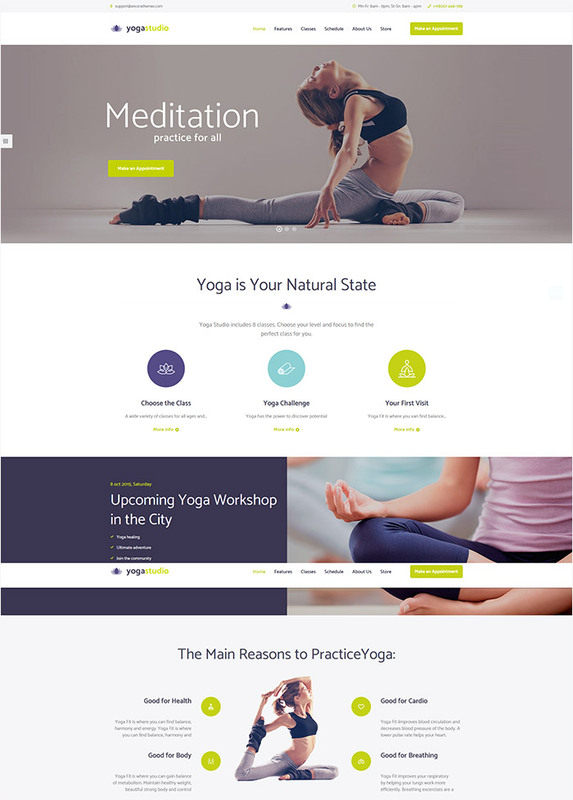 beautiful Modules for Poses , Teacher with Profile details, Media Support, courses, Workshops, Product sales will help you to create visually appealing, easy to use yoga studio website. Grounded with well rooted admin panel and all essential back end options to lighten your customization work. FightClub is a powerful and flexible wordpress theme perfect for all kinds of sport related websites. A lot of pre-made demo home pages (constantly updating) will allow you to easily create great website for sport clubs, mma clubs, bodybuilding, powerlifting, crossfit and fitness clubs, gyms, yoga centers, trainers’ and sportsmen’s personal pages, sport review magazines and blogs, sport events, contests and festivals and so on. GymLife is a clean and modern WordPress Theme designed specifically for Gyms, Fitness Clubs and Health Centers. GymLife features a responsive mobile ready layout powered by Bootstrap 3 that looks great on all devices. The theme is packed with functional and targeted features for gyms such as classes, trainers, galleries and opening hours. The theme features powerful theme options that make it very easy to use and customize colors and the layout with just a few clicks, no coding skills required. 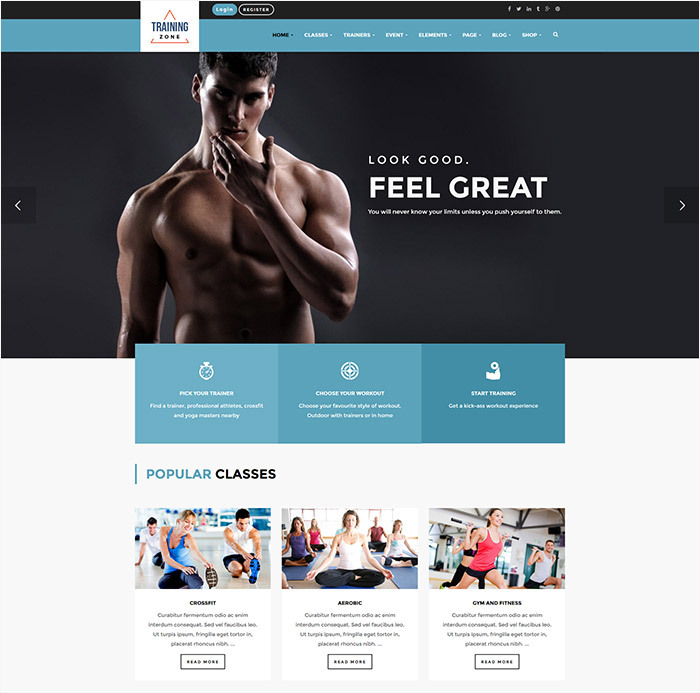 Training Zone is a beautiful, professional and multi-purpose WordPress theme that provides for you more options to make a modern website about gym, boxing, yoga, dancing, fitness center, health clubs, sports review magazine and sports store..Besides it can be also used for any training websites. In all, the list “Best Yoga WordPress Themes on Themeforest 2017” above contains some of the most awesome themes best rated by many webmasters in the world. Hoping via this list you can find out exactly the most suitable one for your upcoming project. For more choices, you can also visit our Portfolio on Themeforest for many other useful multipurpose WordPress Themes. After you purchase our themes and meet any problems, don’t hesitate and contact us via email support: help@wpopal.com or submit a ticket on our system: http://bit.ly/2klTrX2. Our technical team will check and fix them well.